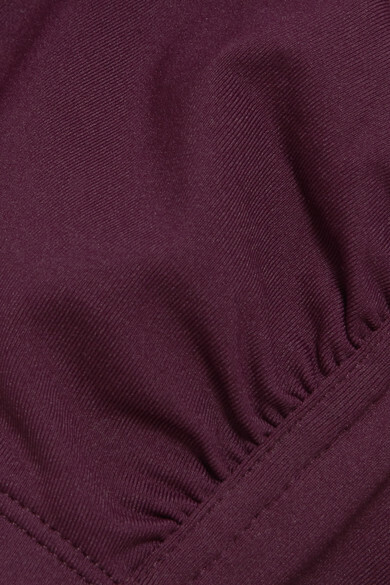 The designs in Eres' new 'Poker' collection are all finished with signature knotted details. 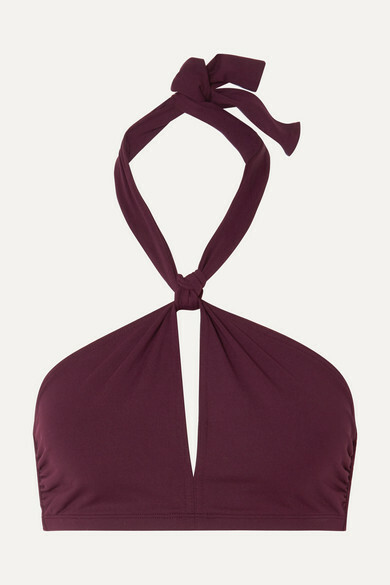 The 'Money' bikini top has halterneck straps that can be fastened to create a keyhole front, while the full-coverage 'Duel' briefs tie at one side. 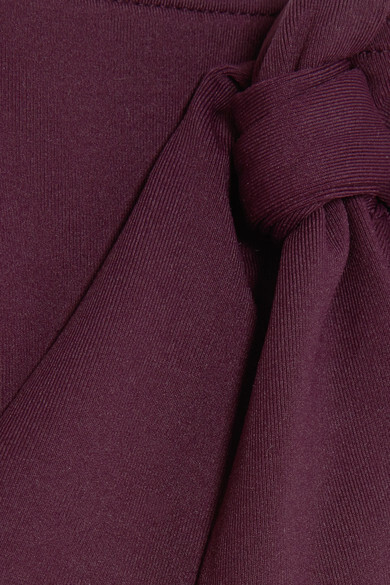 It's cut from the label's sculpting peau douce fabric in a rich plum hue that will look so beautiful against any skin tone. Wear it with: Jacquemus Dress, Jacquemus Shoulder bag, BY FAR Sandals, Dolce & Gabbana Sunglasses, Cult Gaia Earrings.